Discover volcanoes in all their terrible majesty – on land, under the sea and on distant planets. Travel to a volcano and get a thrilling close-up look at these mysterious mountains of fire. See how volcanoes are formed, what volcanoes contain – and the devastation they cause when they erupt! Thrilling full-page scenes take you right inside the red-hot core. Go on! 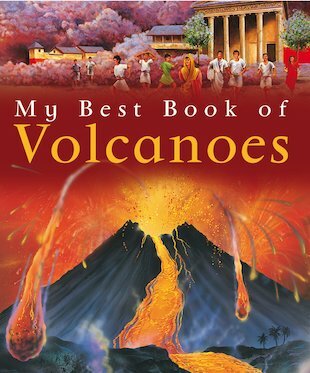 Voyage to a volcano!